Rules rule! Right? Right! Except sometimes it’s fun to break the rules, or at least to play with them and find out what happens. Of course, I’m not talking about the kind of rules that keep the world running well, like don’t steal stuff, or, say, gravity. Well, I suppose those are more laws than rules, but they’re similar, anyway. I am, however, talking about the rules you learn about how to do something well. One of the great things about consciously breaking the rules is that first of all, you must learn the rules. A good understanding of the rules is that leads you to make informed decisions when making something. 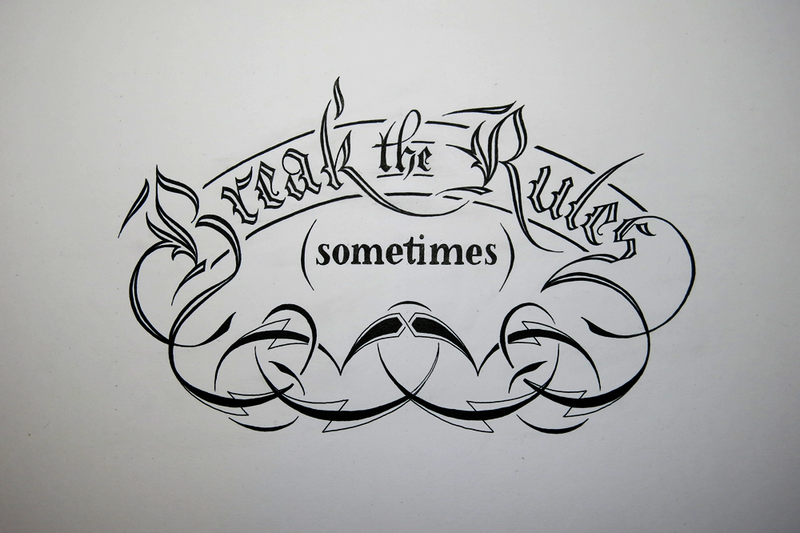 This piece, then is about breaking the rules, but only sometimes. If you broke the rules all the time, everything would end up looking terrible. Trust me, the way letters are constructed work because they’re based on rules. 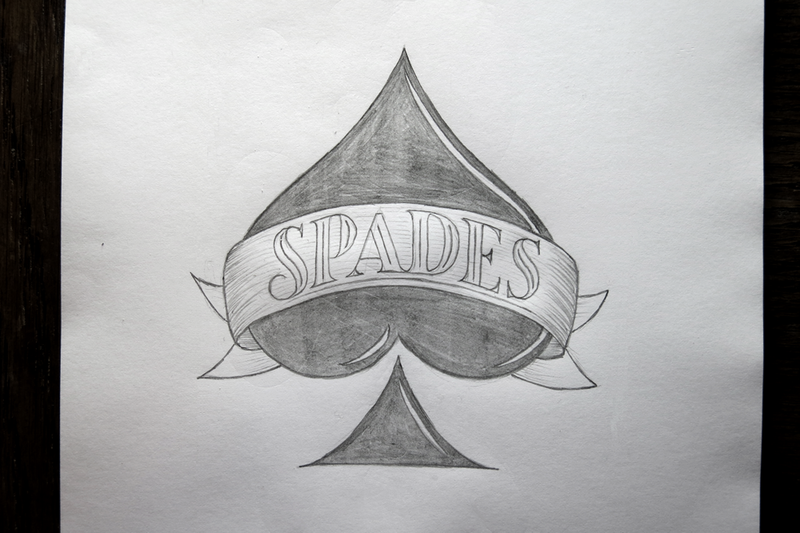 Some of the rules can be bent, and even broken, and you can end up with some very stylized typography. For example, Art Deco typography eschewed some of what you could consider traditional rules for letter construction in favour of geometry and symmetry. 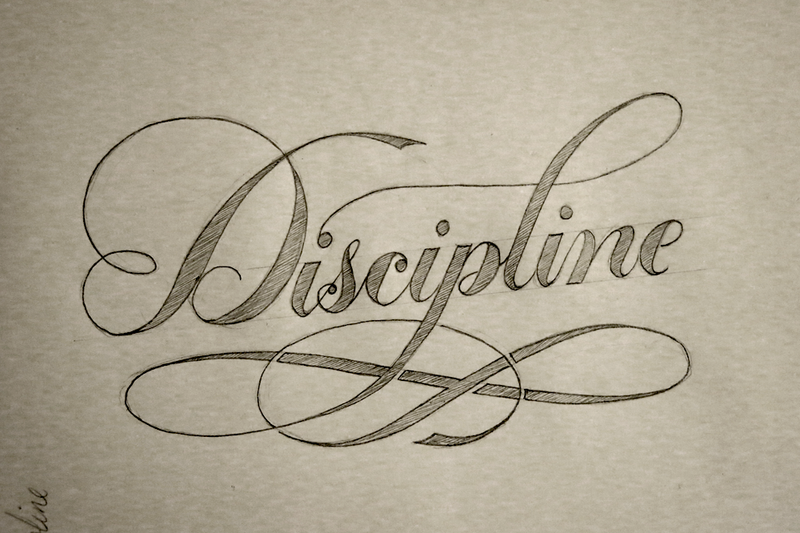 However, I often see people unintentionally breaking the rules in lettering because they don’t know them yet. In their minds, they are not breaking the rules because they are unaware that what they are doing isn’t right. In that case, it’s a great thing to first learn the rules, and then experiment with breaking them in order to find out why they work and what happens if you don’t follow them. Well, with this piece, what rules did I break? Well, none, as far as I’m aware. 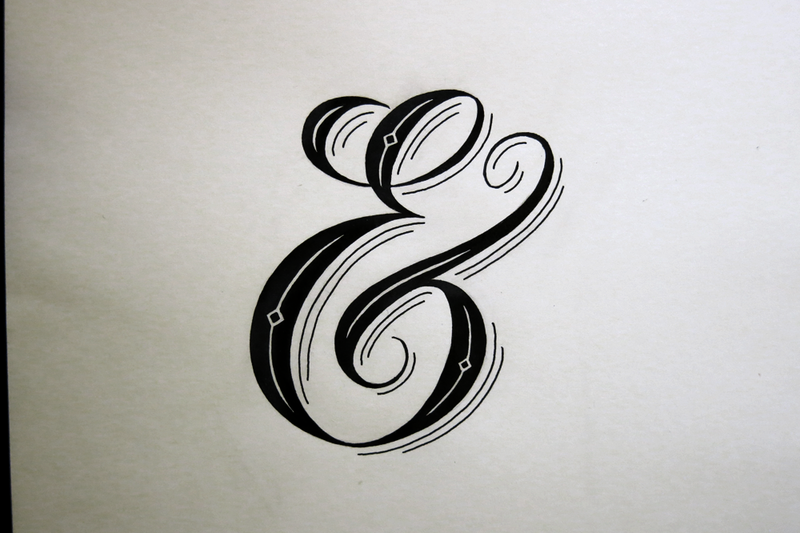 My first idea was to create a piece that had the weighting of all the letters reversed i.e. 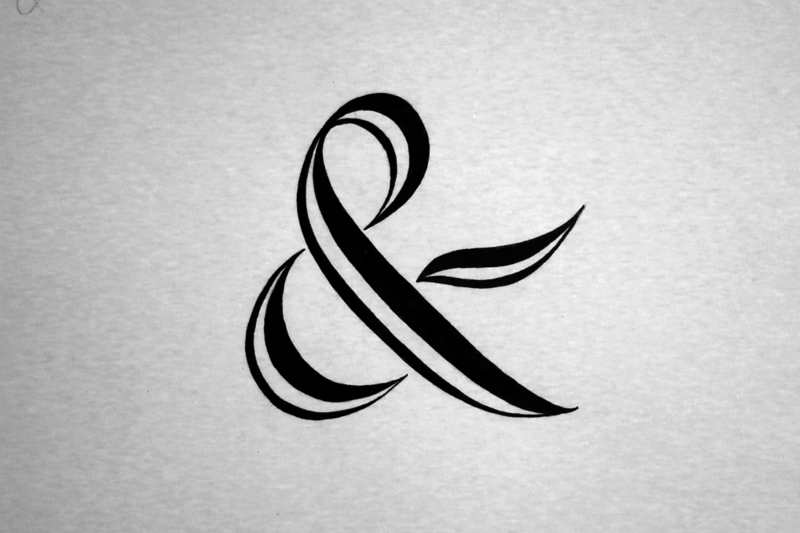 thick strokes where there should be thin, and vice versa. The problem was that it looked awful. Though I already understand the rules about the weighting of letters, it renewed my appreciation of their importance. 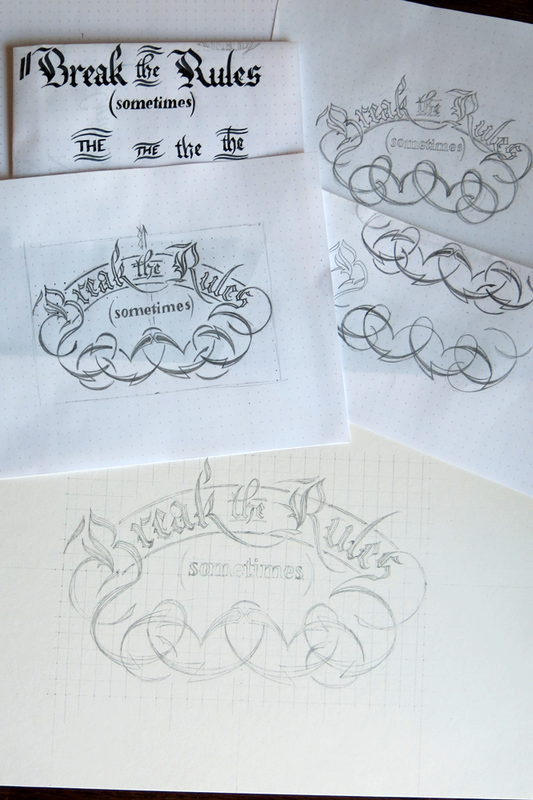 Instead, I decided to go with a fun Gothic style for the “Break the Rules” part, followed by a tame typographical “sometimes”. 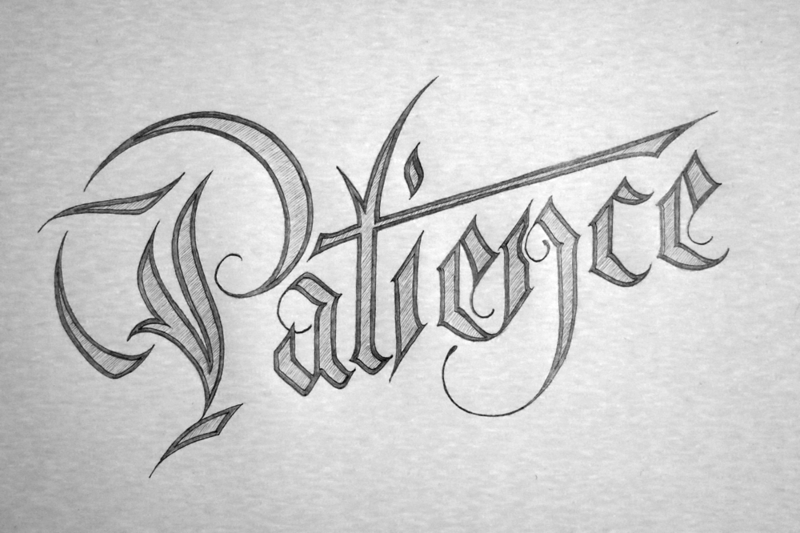 In starting, I did a few quick experiments with a broad calligraphy nib (as you can see below), just to get an idea of what I wanted out of the letter forms. Then I quickly moved on to fitting the letters into the composition I wanted for the piece, and worked on some ornamentation to go beneath. Finally I scaled everything up by drawing a grid on a larger sheet and matching it to the sketches I had made. This is a very convenient way to translate pieces between size, especially seeing as I had done my initial sketches on dot-grid paper. Once the piece was sketched out fully, and then later inked, I removed the pencil grid and was left with what you see above. 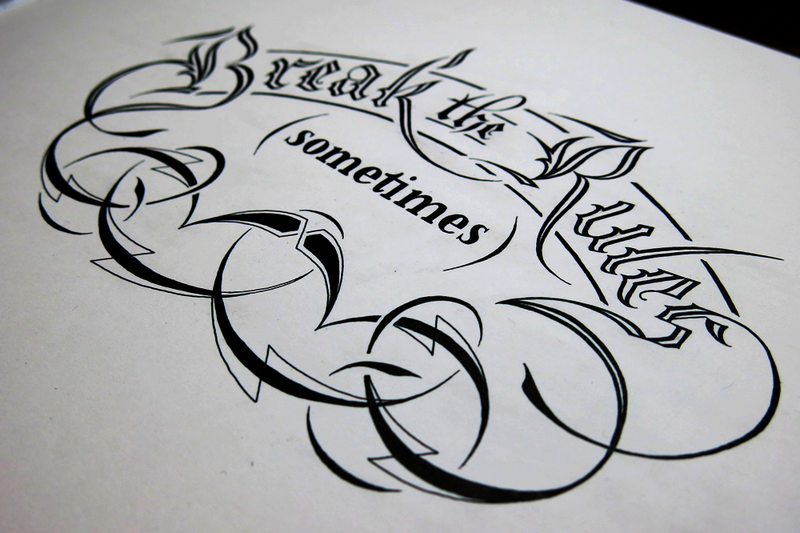 This entry was posted in Uncategorized and tagged &, Ampersand, Art, Break the Rules, Brush Lettering, Brush Pen, Calligraphy, Detail, Discipline, Drop cap, Fineliner, Flourish, Gothic, Hand lettering, Ink, Jack Standbridge, Lettering, Micron, Ornamentation, Patience, Poster, Roman, Script, Serif, Sometimes, Spades, Type, Typography, Unipin, Word art. Bookmark the permalink.